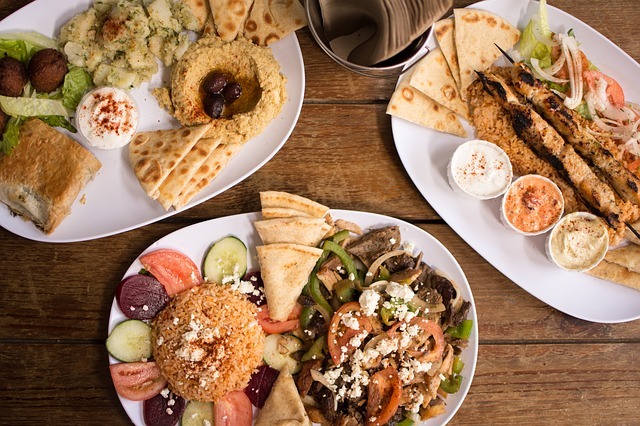 Shawarma District transports diners to the eateries of Lebanon, where fresh pita bread and spit-roasted meats are a given. However, the kitchen team puts a distinctly American spin on the authentic Mediterranean cuisine. They allow guests to build their own meals and grab them quickly from the counter, all in a matter of minutes. To get started, decide on a fresh pita wrap or a bowl filled with rice and vermicelli or a Mediterranean mix of quinoa, veggies, and herbs. Then select your protein: spit-roasted lamb and beef, chicken shawarma, beef and lamb kafta, falafel, or flash-fried crispy cauliflower. Finally, pile on the toppings, from hummus and tzatziki sauce to pickled turnips and garlic whip. The eatery also offers distinct dressings like its Mediterranean Ranch and lemon-honey vinaigrette. Don’t forget to add a fresh side, too, like the baba ghanoush or the stuffed grape leaves.